LAWRENCEVILLE, Va. (AP) — The St. Paul's College campus and the 35 buildings on its roller-coaster grounds are for sale in hopes it can continue to educate young black men and women in this rural community. Located in Virginia's tobacco-growing belt, the private, liberal arts college closed in June 2013 under crushing debt and questions about its governance, and following an ill-advised foray into football years earlier. Now the school's 11th president presides over the largely abandoned grounds and looks ahead to the April 9 sale of a campus that has everything you'd expect of a college, except for students. "What our ultimate goal will be is to find another college or university that will take over St. Paul's as an educational institution," President Millard "Pete" Stith Jr. said. 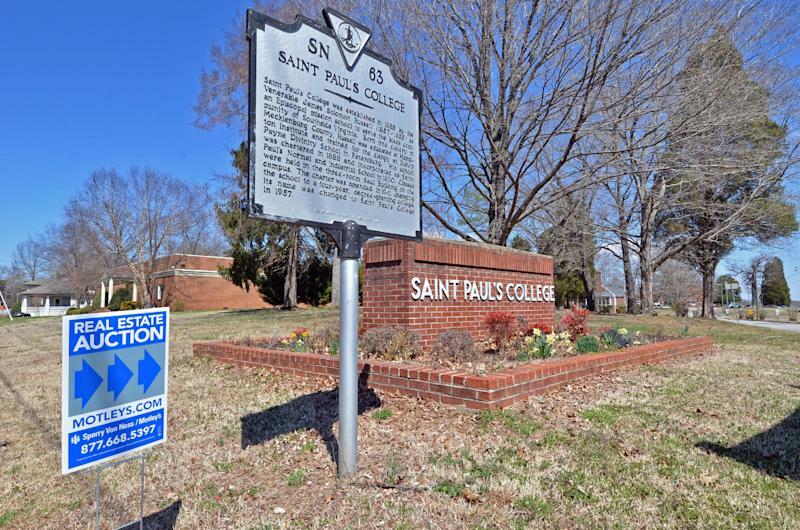 Like many of the nation's 105 HBCUs — or historically black colleges and universities — St. Paul's was founded after the Civil War to educate black men and women in the segregated South. Founded in 1888 by James Solomon Russell, an Episcopal priest who was born into slavery, the college was then known as St. Paul's Normal and Industrial School. It ultimately shed its longer name but it still remains affiliated with the Episcopal Church. 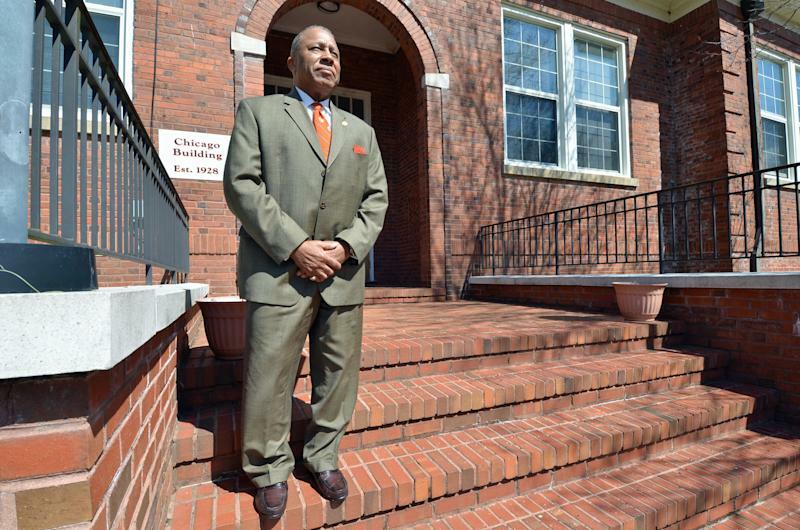 While St. Paul's collapse is an extreme example, many HBCUs are struggling. Historically, they never have had deep pocket benefactors like a University of Virginia, and black Americans suffered disproportionately during the recession the country is just now shaking off. Marybeth Gasman, a professor of higher education at the University of Pennsylvania who has written extensively on HBCUs, fears other "itty-bitty" colleges like St. Paul's could face a similar fate. She pointed, however, to "really strong" HBCUs such as Spelman, Morehouse and North Carolina A&T and Paul Quinn College, a small Dallas school that was saved by an energetic president who brought in new money and ideas. St. Paul's is banking on the sale to breathe new life into its campus. The campus, which is assessed at more than $12.5 million, includes dormitories, a president's house and other residences, administration buildings, a gingerbread Victorian house that served as an arts center, and a student center that includes a four-lane bowling alley. Reflecting its blue collar origins, some of the brick buildings were constructed by students. For a buyer committed to continuing the tradition of education here, "Just add water," said Patrice Carroll, who is handling the sale for Sperry Van Ness/Motley's, a brokerage and auction company. "This is really about the spirit and legacy of the school," Carroll said in an interview in Stith's office on the Lawrenceville campus. "It's not just selling land or a building." Part of that spirit was offering a welcoming, supportive learning experience for young African-American men and women. St. Paul's was mindful of single mothers, as well, offering a daycare program so they could attend class. Some men even took advantage of the program. Many of its students pursued careers in teaching. "It was the greatest teaching machine in the area," Stith said. "You couldn't go into a locality and not find five, six students from St. Paul's who were teaching." Alumni still have fond memories of the college a half-century after they attended and are hopeful the school will live on. Clifton McClenney was not a typical St. Paul's student. He went to prep school in New England and had other options, he said. His late father, Earl H. McClenney Sr., was also president of St. Paul's for more than two decades, starting in the 1950s. "It was the Christian orientation," said McClenney, a retired banker who lives in Richmond. "The faculty attention, the faculty-to-student ratio. It was the school spirit." For Hardi Jones, who lives in Augusta, Ga., after a career in the federal government, St. Paul's is where he met his wife Yvonne when they attended the school in the 1960s. "It was a small school, everybody knew everbody else," he said. In Gasman's view, St. Paul's might have to consider a new path that plays on its strength, perhaps as a charter school for young African-American men or as a feeder campus for a non-HBCU university seeking to diversify. Located nearly 80 miles south of Richmond, Lawrenceville has few attractions for young people. But some parents from urban settings purposely sought this distraction-free campus for their children, Stith said. St. Paul's also offered a familiar educational experience for students who were likely to be the first in their family to attend college. Enrollment peaked at about 1,000 at St. Paul's and had declined to about 150 when it closed. The school desperately tried to keep open despite debt approaching $6 million, accreditation issues regarding a dearth of tenured professors, and growing needs to improve its campus. An effort to affiliate with St. Augustine's University in Raleigh, N.C., also affiliated with the Episcopal Church, fell through. St. Paul's also went to court to keep its accreditation, but ultimately abandoned that appeal. Stith said the decision nearly 10 years ago to field a football team drained $300,000 to $400,000 from the school annually and hastened St. Paul's demise. An orange football helmet with tiger stripes sits on a shelf in Stith's office. The school mascot is a tiger. The April 9 sealed-bid sale offers prospective buyers four options, ranging from the 130-acre campus and its buildings to a package that includes 434 adjoining acres. The school attempted to fight its closure through fund-raising, which fell short. But St. Paul's plight still stirs alumni, including a donation in March from an alumnus who attended elementary school at St. Paul's administration building when it served African-American children in Lawrenceville. "I weep every time I think of Saint Paul's College's closing," she wrote in a handwritten letter.